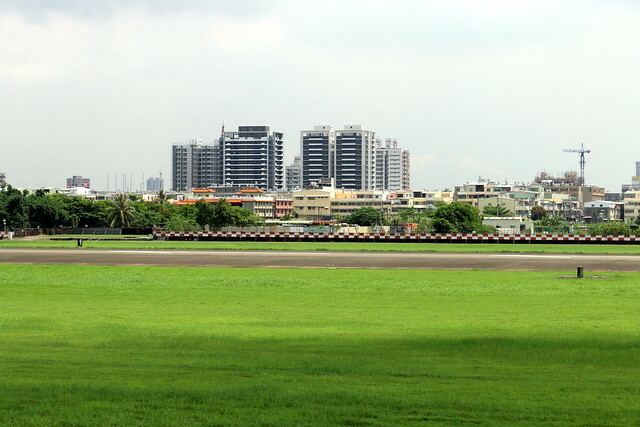 Scoot 3x Weekly to Kaohsiung, Taiwan and onwards to Osaka, Japan! If you love going to Taiwan and Japan, you'll be glad to know low cost carrier (LCC) Scoot has added Kaohsiung and Osaka to its lineup! The two new cities boost the number of destinations to 15 in seven countries. We were on the inaugural flight TZ288 to Kaohsiung from Singapore, departing bright and early 6am on 9th July. It's an all new Boeing Dreamliner 787 -- oh I love this new plane! I had gotten acquainted with the 787's spacious wide-bodied cabin on Scoot's first Dreamliner flight (to Perth). It comes with better humidity, air circulation and cabin pressure. And those electrochromic windows! Our plane was the 787 Majulah with SG50 livery. Scoot, which was voted Asia/Pacific's Best LCC in 2015 by Skytrax, had about 11 Dreamliners delivered in March and is adding more to the fleet. Kaohsiung is just four hours away. It's a smooth and and comfortable ride. 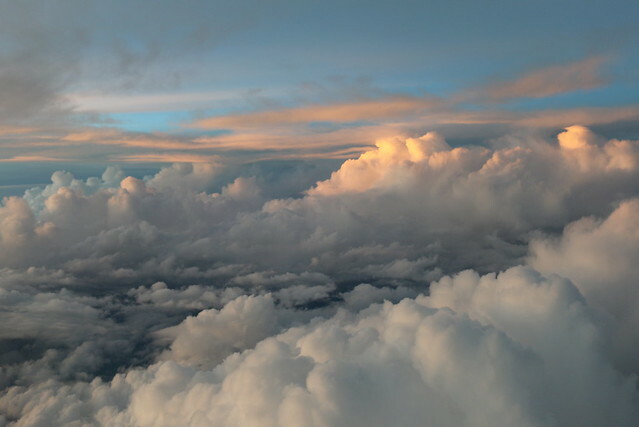 Watch the sunrise kissing the clouds after take-off. 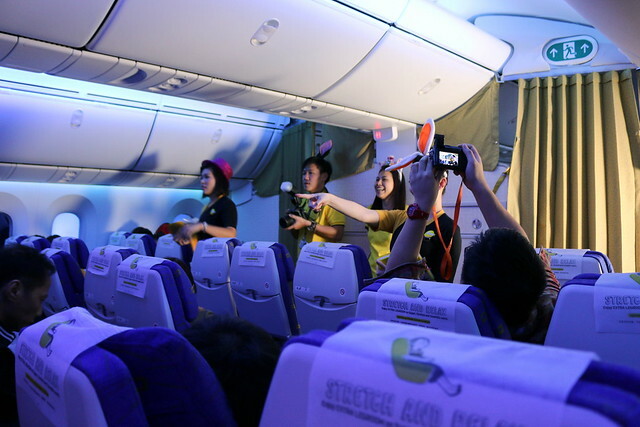 As with all their inaugural flights, Scoot has fun activities like quizzes and giveaways, quirky costumes and performances. I always like to check out airline food. 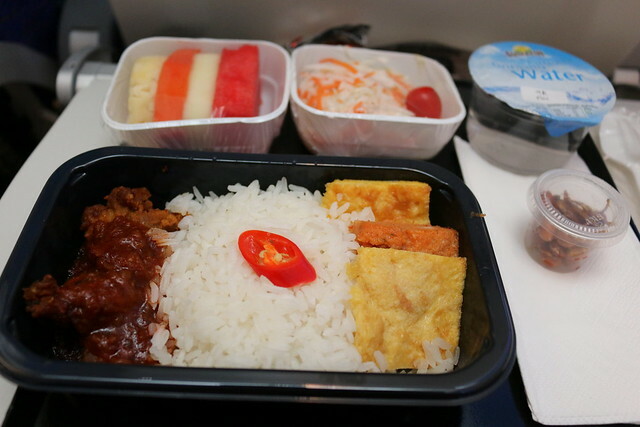 This Nasi Lemak is part of the premium meal choices, which have to be pre-ordered. I also like the Beef and Caramelised Onions Wrap, something you can just order on the spot. But the fastest way to pass the time is to get connected with inflight Internet! And on Scoot you don't have to worry about exorbitant fees. Scoot WiFi is very reasonable - e.g. three hours unlimited data for just US$16.95. You can also keep your devices charged with in-seat power, for a small fee (S$5-8). We land in Kaohsiung right on schedule. We were going to have three full days to explore the city and its surroundings - Pingtung and Kenting (there's a food street there!). More in upcoming posts. 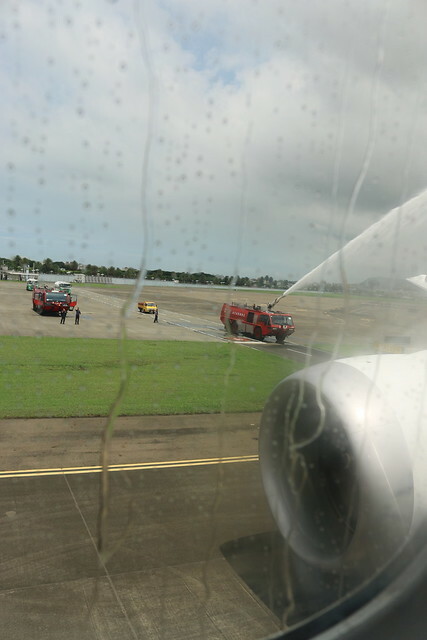 Our plane received a water cannon salute, like on the other inaugural flights. It's quite hot in Kaohsiung, so I'm sure the plane enjoyed this splash. This is the flight schedule for Scooting to Kaohsiung and Osaka. They fly three times a week. Prices at a casual check are as low as S$88 one way to Kaohsiung (before taxes and surcharges). A return flight all-in costs about S$255 - pretty affordable for a direct flight to Taiwan! To Osaka it is S$228 one way (before taxes and surcharges). Return all in from S$520 thereabouts. 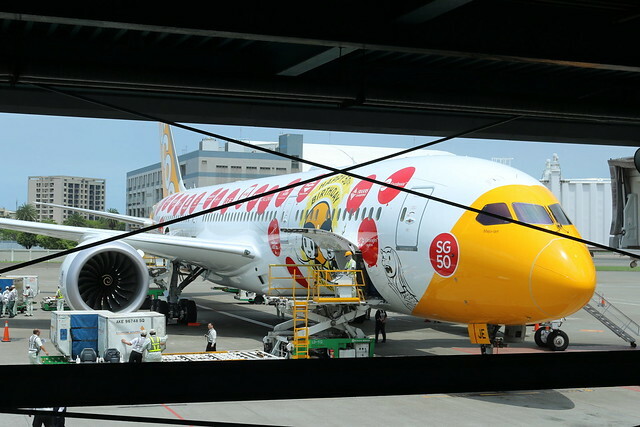 Come September, Scoot will begin Dreamliner service to Taipei and Tokyo in September. I hope they do Hokkaido soon too! Ah Japan, my spiritual home! Many thanks to Scoot for the invitation!